works as a coach, consultant and researcher. Her work is based on extensive experience as innovator, coach, professor for human-computer-interaction and virtual reality (HCI and VR), user experience and multisensory interaction designer (UxD, ID), scientist, engineer, author, programmer, artist, trainer, moderator, career coach, advisor, systemic consultant, ideator, explorer, systemic thinker, meditator, energetic coach, and virtual+reality explorer. – EU expert for new ideas and research projects in the interplay of people and technology. Steffi is also conducting her own research projects. For example, she is interested in current perspectives on reality, in experiential quality and causes, and in a wide variety of physical, structural, psychological and philosophical tools. Furthermore, she is engaged in a consortium of people exploring into the fabrics of future work collaboration and is part of a u.lab hub exploring Theory U concepts. – empathically inspiring people to develop game-changing new ideas, clear-view-points, and tailored solutions for topics in their work, life, and projects. If you want to collaborate on one of these topic, please get in touch! 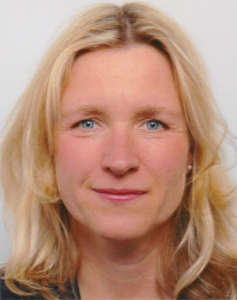 A detailed CV covering Steffi’s past as professor and researcher can be found at: http://imve.informatik.uni-hamburg.de/people/Steffi-Beckhaus and on linked in. Some of her past projects and results are documented on the website of her group im.ve (interactive media.virtual environments), which existed 2004-2011 @ University of Hamburg. A list of her coaching style and relevant training outside the technical domain is available in german. For current projects see above and on the Activities and Publication page on this site.